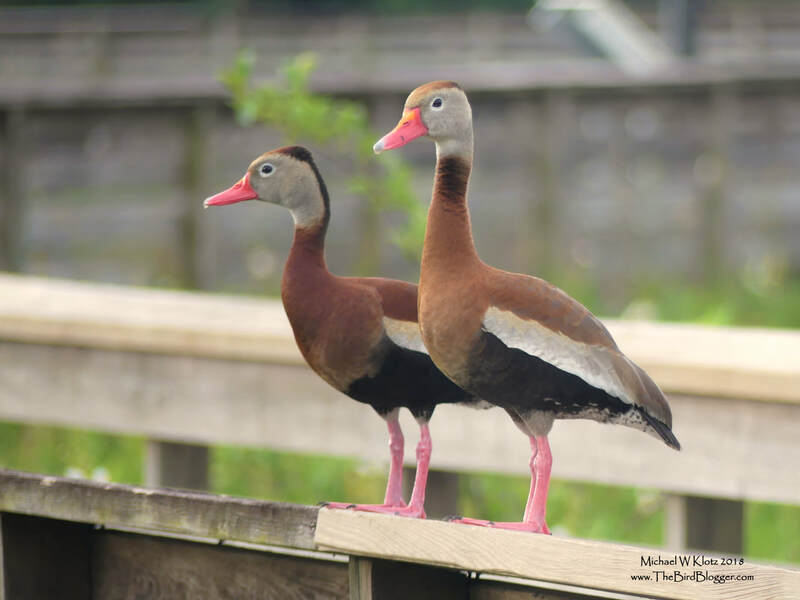 This pair of very conspicuous Whistling ducks surveyed the marsh for some time as people trotted past them. They were very noisy on the landing and just about the same on the take off. They didn't actually hit the water while they were here. Two of the unique things about these ducks are the sharp toenails and upright posture for grasping branches.